After-school tutoring classes played crucial parts in my younger life. If I do the maths correctly, my parents constantly put me in after-school tutoring classes for the whole 12 years of my schooling time, right from elementary school to senior high-school. My after-school tutoring classes ranged from subjects such as mathematics, physics and chemistry which I was behind as I was never good with numbers, to additional foreign languages such as English and Mandarin which I eventually excelled. I vividly remember that when I was a child, I was so busy. On top of spending 6-8 hours sitting in school from Monday to Saturday, every day I had to spend another 2-3 hours in after-school tutoring classes to catch up with my morning school lessons. Before I continued with my childhood experience on after-school tutoring classes, here’s my top secret embarrassing confession: I always brought home monthly bad report cards when I was in my elementary school and my Dad was always furious looking at my school report cards. Back then, I did not know the art of studying for tests or exams at home. I just did not know! My report cards tended to be on ‘fire’ (more red marks than blue marks) and I was always terrified to go home and see my Dad whenever the report card was distributed. My teachers often called my Dad to school to personally discuss my academic performance and this indeed made him really embarrassed too. Now you know why my parents had to put me in after-school tutoring classes, right? Moving on, after spending more than 2 years in Malaysia, I noticed the same pattern between after-school tutoring programs in Indonesia and Malaysia. Children in primary school in Malaysia are, too, already bound to spend more hours in after-school tutoring classes every day to make sure that they cope well in their school. I bet they'd still have to do this for the next 10-11 years or so. My nephew and niece who are now in Primary 2 take extra lessons in after-school tutoring classes, from general academic lessons to art class. On weekends, one of them has to take extra lessons in Olympic Mathematics which honestly, I have no idea what it’s all about as compared to the common mathematics. Another instance, my neighbour’s kid who's just entered primary school earlier this year is sent to Mandarin classes every day after school because his family doesn't speak Mandarin at home and the parents want to make sure that the boy can survive in his Chinese primary school. Guess what, their parents have to take trouble in sending these kids to the tutors’ houses or tutoring venues every day and it’s not that easy to find good tutors for them either. Recently, I came across a website called HomeTuitionJob where parents and students can find good quality home tutors. 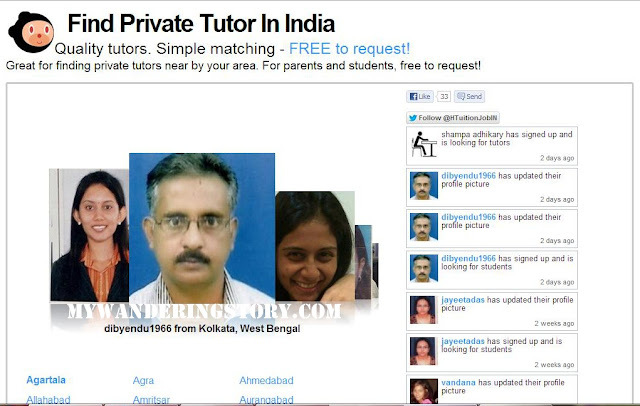 Say good bye to all the pains in finding private tutors for your kids and all the troubles in being stuck in traffic jam when sending your kids to the tutors’ houses or picking them home during busy hours. HomeTuitionJob is a reliable online market place where home tutors and students meet and match. Parents or students can find good quality home tutors on various subjects (such as mathematics, English, swimming, music, etc. ), within their proximity, in just few clicks away. match your needs then start hiring them. 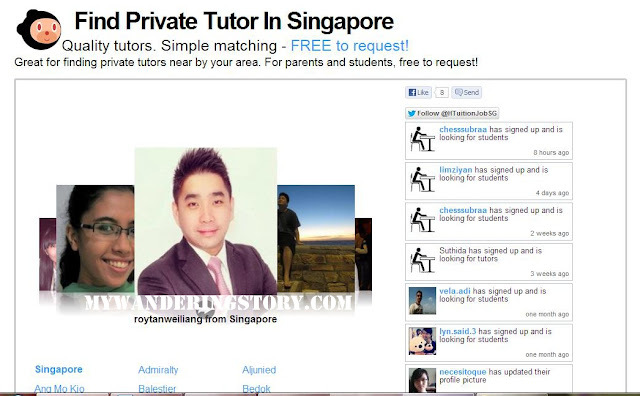 On the other hand, teachers, tutors or graduates who are keen to earn more money can also post their profiles and tutoring services in this website to reach more students or parents who need their assistance. 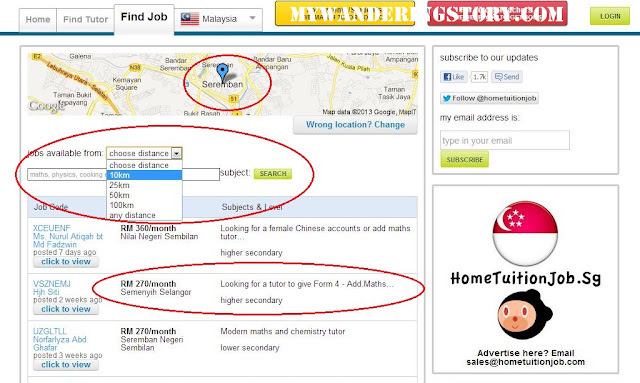 start finding tutoring jobs within your area that are posted by parents or students. 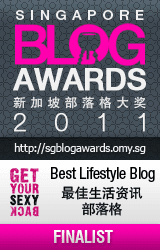 Is this website only available in Malaysia? The answer is no! 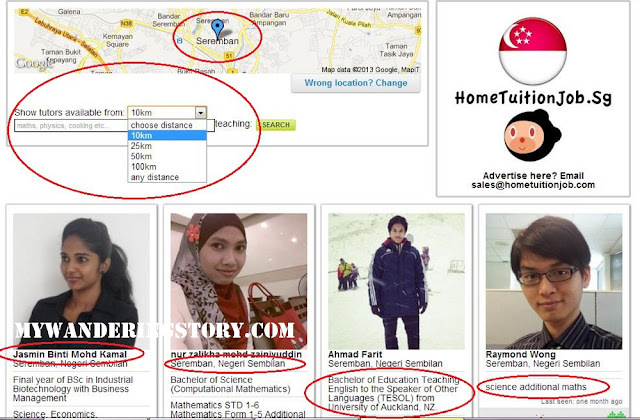 HomeTuitionJob has recently expanded its reach to cover Singapore home tuition and India's home tuition industry too. Isn't it wonderful? Therefore, parents, hesitate no more and start signing up at HomeTuitionJob website to browse and hire good quality home-tutors for your kids. Students, hop over to HomeTuitionJob website to find home tutors who can help you excel in school. Finally, potential tutors, do register your profiles in this website as soon as possible to view the available tutoring jobs within your location and earn extra money! Last but not least, don't forget to connect with HomeTuitionJob in Facebook. Tuition classes helps a lot in improving a child's development. It helps to get proper guidance from a good tuition teacher in difficult subjects like maths, science etc. I am totally agreed with your after schooling there must be some tuition classes because kids are not easily learned by their mothers so that there must be some tutors for them to teach their school work regularly.